I trust Jeff Zamaria with my life. If my life depended on well produced stand-up comedy. 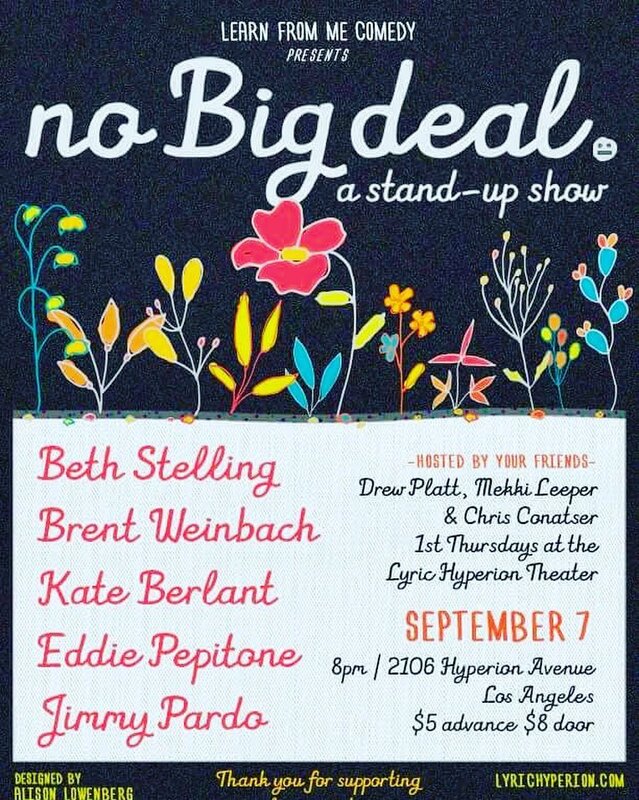 On September 7th, Learn From Me, Jeff’s brainchild, presents No Big Deal, a show at Los Angeles’s cozy and cool Lyric Hyperion with the likes of Eddie Pepitone, Beth Stelling, Brent Weinbach, Jimmy Pardo and Kate Berlant. It’s the launch of something pure and true: some of the world’s funniest talent, one of comedy’s best producers, every first Thursday in Silverlake. Simple. Fun. The show promises to be a jewel in LA’s treasure chest, one more cool thing to do in a town where you can trip into a great time. Eddie Pepitone feels old school Hollywood sharp, like Groucho Marx or Don Rickles, if they had their third eye open while manning a turret in an Apocalyptic wasteland. Beth Stelling is smart and sarcastic in ways compelling and disarming, inviting you lean in while keeping you on your toes. Brent Weinbach is your mind on drugs, immersive juvenility that’s warped in all the right ways. Jimmy Pardo is an undervalued saint of late night, known for water-bug-quick, hyperalert comedy. Kate Berlant vibrates an ephemeral, new-agey aura that’s deeply inventive and ironically flawed. Still, No Big Deal is a little more than a great line-up and a boozy cafe. It’s a beacon for San Francisco’s expat comedy fans like me, something to look forward to, a sign of things to come. Because Jeff has never steered me wrong. When he puts people up, as if to say, “watch them, they’re funny,” he isn’t bullshitting. It’s not vanity or posturing. Good comedy requires a certain set up to become truly great. An event doesn’t flow on accident, a hot crowd isn’t a spontaneous combustion. Jeff Zamaria, cool, casual and keen, understands nuance and executes calculus. He’s good for comedy. When I met Jeff he was running the SF Punch Line Sunday Showcase. Now he runs Doc’s Lab’s comedy slate. Both have exemplified the Bay Area’s best comedy. 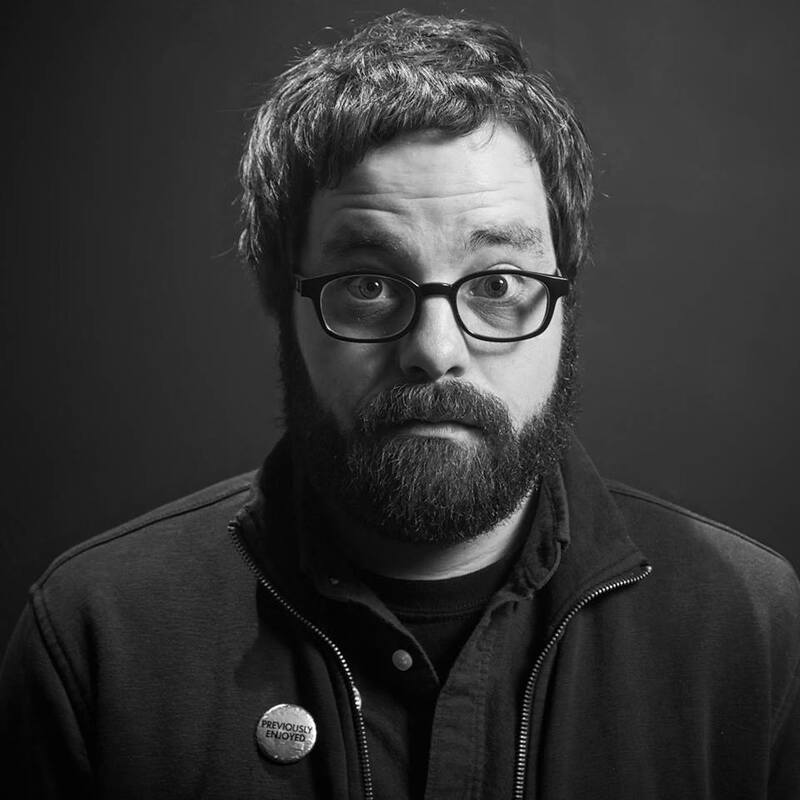 Jeff has booked hundreds of nights, more than a thousand hours, national headliners, open mics, house parties, ice cream socials, animation hybrids, every style, every experience level, jet-setting, road-tipping, moving the marketing, operating the sound board and greeting at the door. Many have crumbled under similar weight, disintegrated from similar grinds. How Jeff has avoided being a hollow crank is beyond me. Nevertheless, I’ve enjoyed every interaction, cordial and compelling even in shop talk, a rarity in the community. I couldn’t tell you the contents of said convos but I appreciate the context. Seeing Jeff means I get to feel seen, valued and accommodated. His welcoming feels welcoming. His hospitality feels unconditional. A blistering pro can be murdering a room with a gang of comped amateurs cracking up, backs to the bar. It’s beautiful. Jeff cultivates that synergy, the best comedy has to offer and the people who strive towards that ascension, enthralled in communion. It’s good for comedy. It’s exciting to see what No Big Deal develops into, what a well-connected Jeff does with Los Angeles’s exhaustingly massive talent pool. It’s exciting to imagine all the comedy nerds, new converts or old heads, converging together to the Lyric Hyperion. I’m excited to laugh and applaud, to be good for comedy (and feel better for it). 9/7. No Big Deal @ Lyric Hyperion. 2106 Hyperion Ave. Los Angeles. 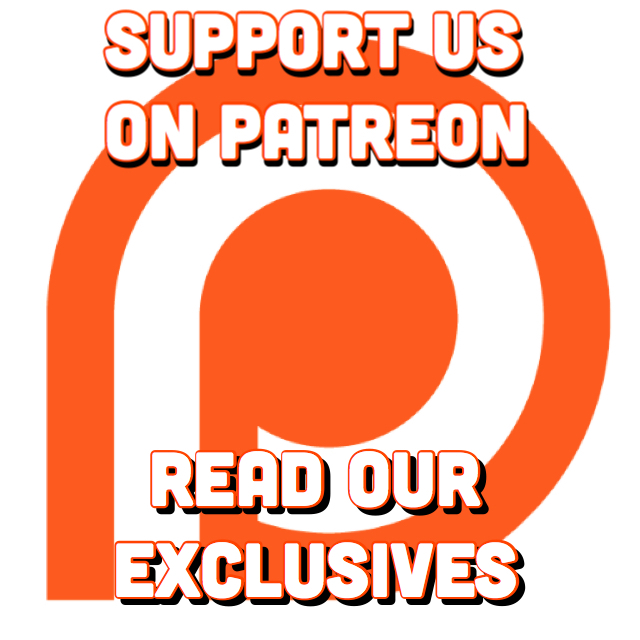 Featuring Beth Stelling, Brent Weinbach, Kate Berlant, Eddie Pepitone, and Jimmy Pardo. $5-$7. Advance Tickets: Here. RSVP on Facebook.